Times have changed and so has education. Thanks to the Common Core, school standards have changed and so have teaching styles and approaches. Do you remember the “good ol’ days” when you could cross-multiply fractions to find your answer? Now students are expected to draw models to show their work. You cannot simply say that it will take 6 hours to reach New York by train, but say how much longer it will take to travel to Boston. Common Core has made many subjects – particularly math – more involved. Maybe even more challenging. Many parents who are calling for tutoring support admit that they are struggling with their students’ homework. It is a parent’s natural instinct to try to help when their student is in trouble. But more and more parents are admitting that they do not understand how their student is being taught in school. In the past month, I have received at least ten phone calls from parents whose students are struggling with basic math functions, like multiplication. 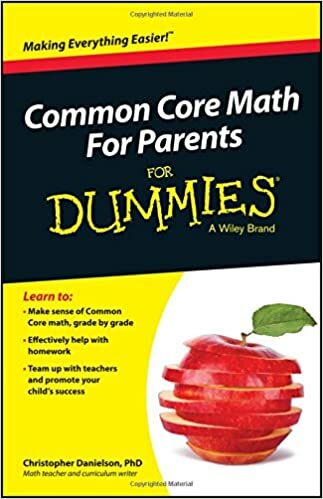 When they try to teach their student how they were taught to multiply, their student responds by drawing a box and replies, “But this is how my teacher does it.” Parents are caught between a rock and a hard place – they want to help their student succeed, but by trying to help they are only adding to the confusion. Still, not all schools have joined the math night bandwagon, and some parents feel that one math night is just not enough. If you are interested in more math nights at your child’s school, let your voice be heard! Write a polite letter to your school’s teacher and principal, asking if they would host another math night. If the whole school cannot, perhaps your child’s teacher will have one just for the class. Avoid placing blame on the methods or the Common Core or pointing fingers. Instead, approach the situation as a concerned parent who wants what is best for their child. Despite the efforts of schools, some parents are just not able to attend math nights between multiple jobs and other after-school commitments. These parents are left to “fend for themselves” when it comes to helping with their child’s homework. Homework Unlocked has a wealth of information. Their website contains lessons for math concepts up through algebra. It also has a forum called “Homework Headaches” where you can submit specific questions that are stumping your family. There is even a “Pop Quiz” sections where families submit creative responses to math problems. The videos are simple, easy to understand, and also fun to watch. Visit www.homeworkunlocked.com in your spare time and brush up on your math skills. You can even sit and watch it with your child. Who knows? Maybe your son will teach you how to do long division! Heitin, Liana. “Schools Teach Common-Core Math to Two Generations.” Education Week. Editorial Projects in Education, 2 Dec. 2014. Web. 20 Mar. 2015. http://www.edweek.org/ew/articles/2014/12/03/13mathparents.h34.html. Photo Copyright [Untitled Image]. Retrieved February 8, 2016 from http://www.amazon.com.